From the selection of raw materials to remain original deliciousness of flavours, sterilized under hygienic food processing technology. It gives a good taste and can be easy to used at all the time. Pour into a bowl, heat to simmer and serve. Added to all kinds of soup, gravy, stew. 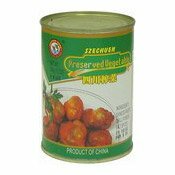 For frying with rice, vegetables. 1 1/2 tablespoons modified corn starch dissolve in 3 tablespoons of water. Pour vegetable broth into the pot. Add carrot, green peas, broccoli, Chinese mushrooms, modified corn starch, mix well. Produced in a facility that uses peanut and sesame. 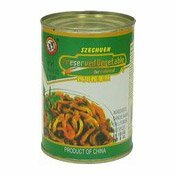 Ingredients: Water, Vegetable Extract (White Cabbage, Lettuce, Spinach, Chinese Mushroom, Carrot, Tomato, Dextrose), Onion, Salt, Flavour Enhancer (E621), Soy Sauce Powder (Soy Bean, Salt, Wheat), Garlic, Acidity Regulator (E330). 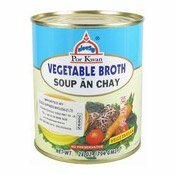 Simply enter your details below and we will send you an e-mail when “Vegetable Broth (Soup An Chay) (珀寬雜菜湯底)” is back in stock!